The Jefferson County Chamber of Commerce took its First Friday event on the road on Aug. 3, with stops at Froehlich’s Classic Corner in Steubenville, Margaret’s Cafe in Toronto, the Gaslite in Wintersville and Scaffidi’s Restaurant & Tavern in Steubenville. 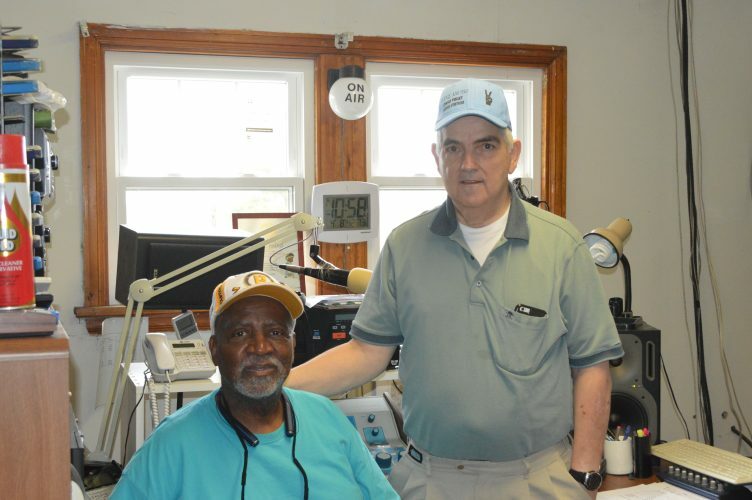 Advanced Entertainment Limousine provided two luxury limo buses for the more than 30 area residents who took part in the event, and Clancey Printing donated custom T-shirts for attendees. 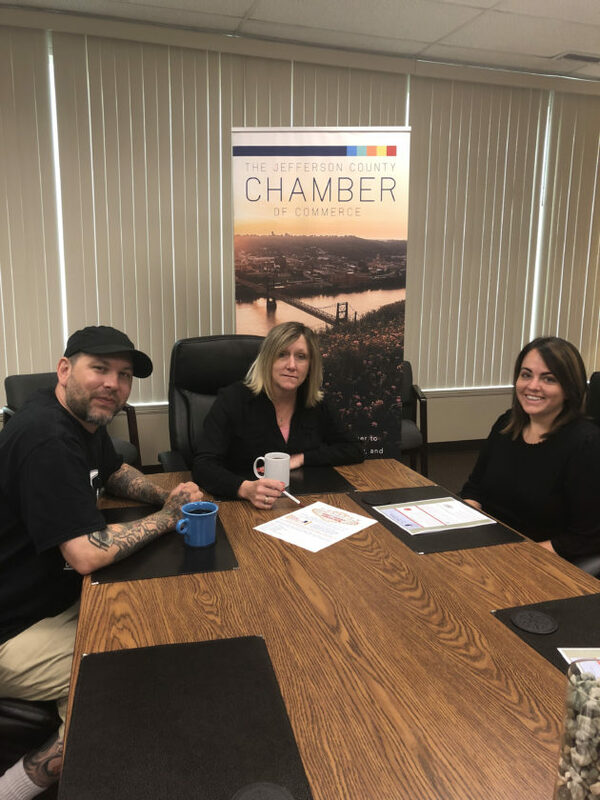 Joining chamber President Tricia Maple-Damewood, center, to discuss the event were Ryan Clancey, owner of Clancey Printing, and Courtney Swearingen, who’s also with Clancey Printing.